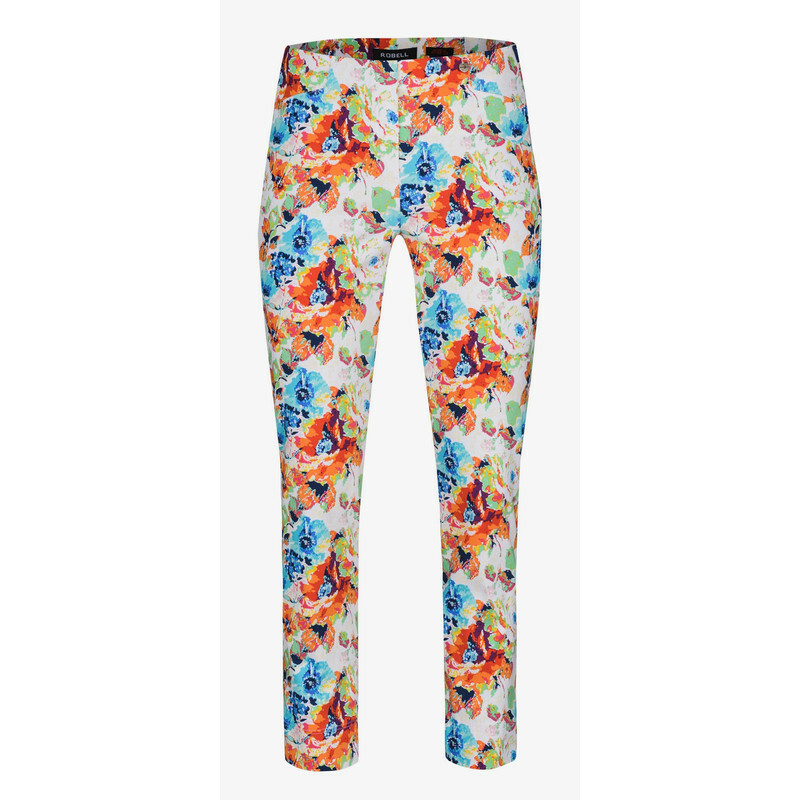 Robell Rose 09 floral print trousers are a stylish shape that are great for this season. 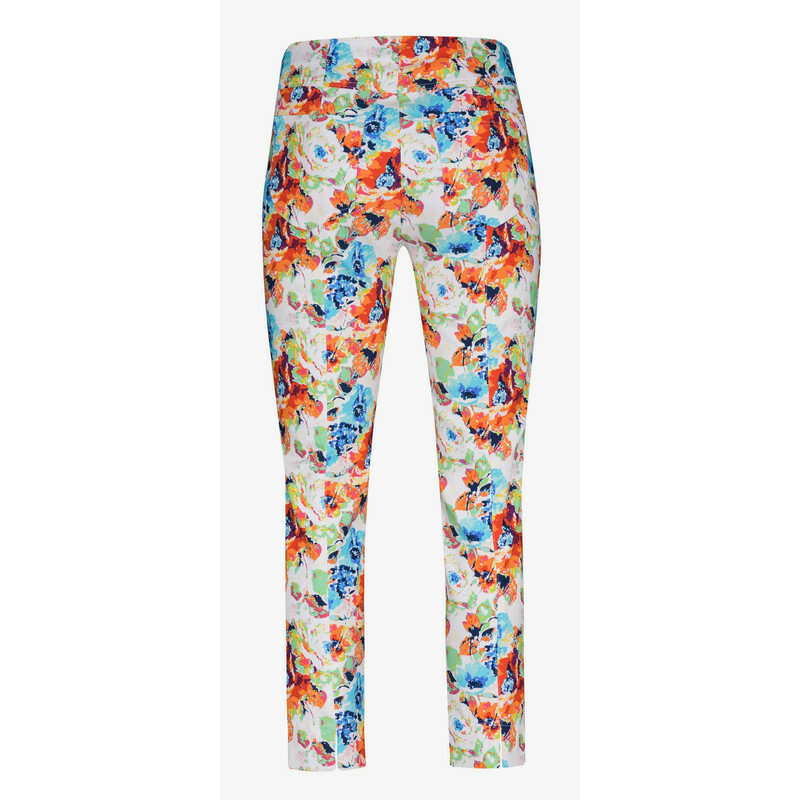 Versatile and easy to wear, Rose 09 trousers are available in an array of core and seasonal colours. The slim leg, pull-up design makes these trousers super flattering whilst the stretch bengaline fabric means they are extra comfortable. The smooth waistband is perfect for wearing under your favourite tops and the 7/8 length creates a modern silhouette that can also be worn to the ankle or full length depending on your height. This limited edition design has additional back pocket detail.